Recently as part of the army’s welfare service while my husband is deployed, we were invited on a free trip to LEGOLAND! So, of course, we went – who would pass that up?! – and we loved it! But with a two year old in tow, most of my day was spent trying to navigate the toddler friendly rides and attractions at LEGOLAND, which was no easy feat. One thing I will say is that if you are planning on going with really little ones, don’t go in half term! It wasn’t excessively busy throughout the resort but it did make queue times pretty long! This very short train ride is the perfect introduction to rides for your toddler! 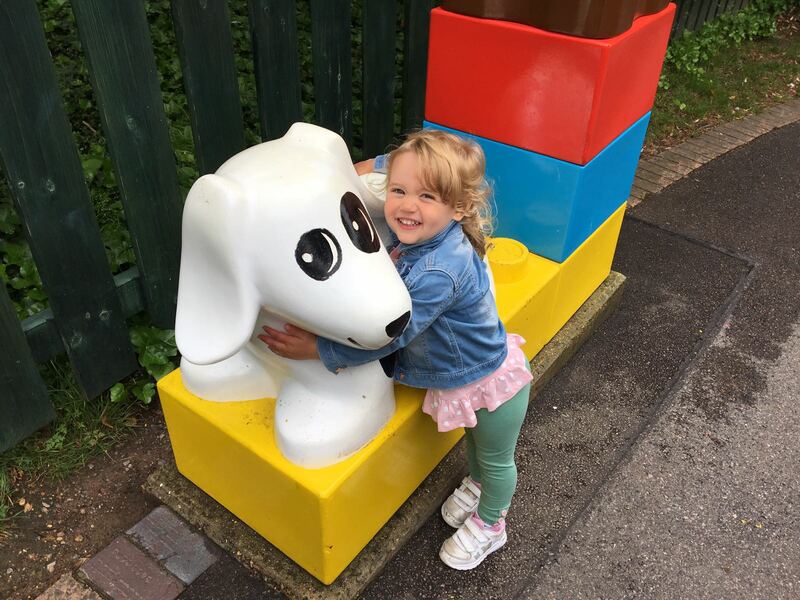 Olivia was itching to get on the Skyrider but couldn’t because of the height restriction, so the Duplo Train was the perfect substitute! 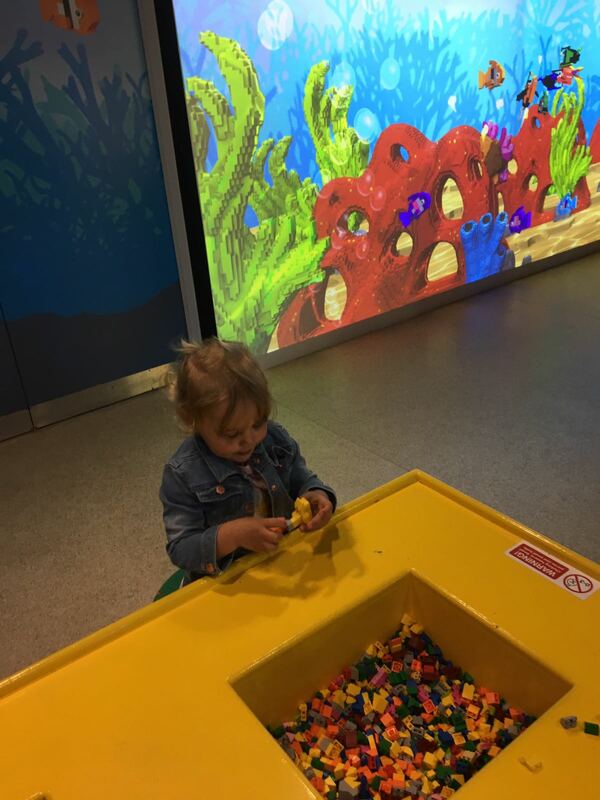 You have to accompany your tot but this is a sure win for toddlers going to LEGOLAND! I didn’t get to go on this one in the end and I’m absolutely gutted! It’s a nice little boat ride perfect for all family members, as adults have to accompany guests under 1.3m and there’s no minimum heigh to ride! The ride takes you through a bunch of fairy tales and you get to see loads of fairy tale characters made out of Lego – it sounds really amazing! When we go back again we’ll definitely be taking Olivia on this one! This is a very nice little play area situated quite closely to the Splash Safari and Fairy Tale Brook, and it’s ideal for kids of all ages! My daughter spent THE WHOLE MORNING here. She absolutely loved it! It’s essentially a little water park in Duplo Valley with tons of cute animals spurting out water everywhere. It was honestly amazing and she had so much fun! I would say to bring a swimming costume – they have changing rooms next to the Splash Safari but as Olivia is only little I just stripped her down to her nappy and away she went! This was another one that Olivia loved. The queue time was relatively short (less than 5 minutes one time and about 20 minutes the other time). I bribed her with strawberries to walk nicely in the queue and she did pretty well, but patience is not her strong point! 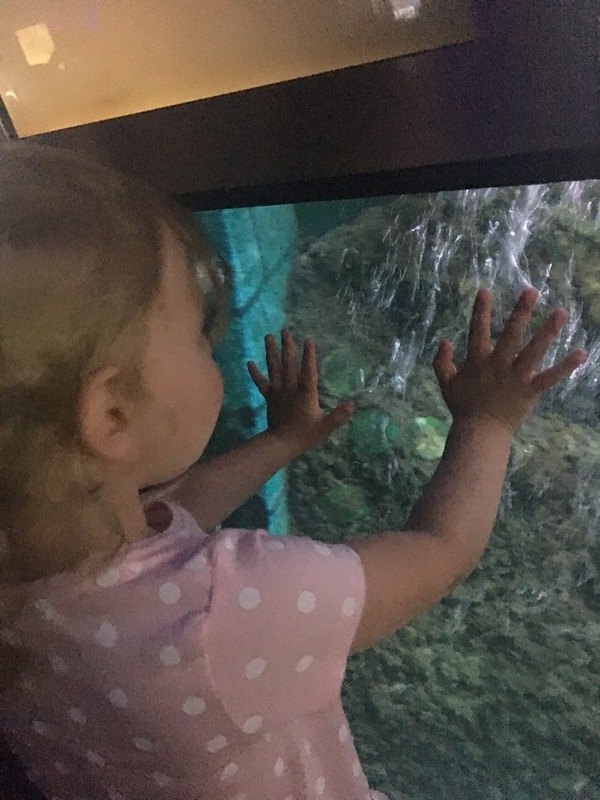 Once we were in the submarine she was so excited to see the “poissons”! When I first saw the sign for a SeaLife centre I didn’t realise that we would be going into a submarine to see the fish! This was the PERFECT ride for little kids to get on and to enjoy themselves. This one is suitable for everyone, as adults have to accompany guests under 1.3m and there is no minimum height to get into the boats! However I’m going to guess that toddlers aren’t the best people to be steering the boat around the waterways, so you’ll very much be in charge of the boat ride! And the LEGOLAND website warns that you will get wet on this one. Unfortunately your tot cannot get their LEGOLAND driving licence just yet! BUT, they can indeed go to Balloon School as long as you accompany them, which is right around the corner from the driving school areas. 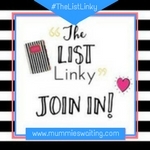 This one is fine as long as you accompany your tot, however I’m not sure how successful it would be to get your toddlers on here! The laser game requires some precision and usually it’s better if your kids are a little bit older, but I’m sure toddlers would have just as much fun! While none of the attractions in Heartlake City are any good for toddlers, there is a pretty amazing pirate show as well as a very lively and upbeat Lego Friends show that anyone can watch! Pretty much does what it says on the tin… Miniland is just full of miniature Lego villages, all themed by country! My daughter was fascinated with them, and I was too! 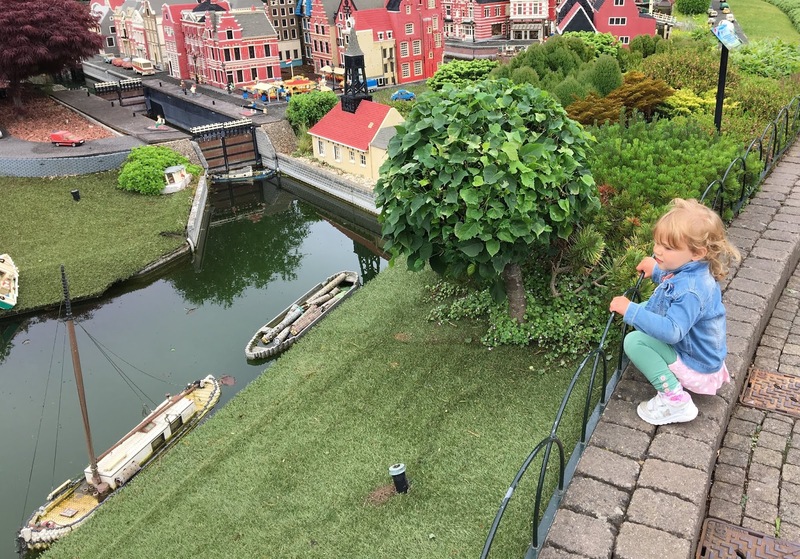 The Lego boats floated through the rivers, and the sheer detail in the models was incredible – Olivia loved walking around and getting quite up close to the models to point out things she could see. Right at the beginning of the park there are a number of little build and play areas, including a Lego Reef and an Education Centre. The perfect spot to let the little ones have a go at creating some amazing Lego models. 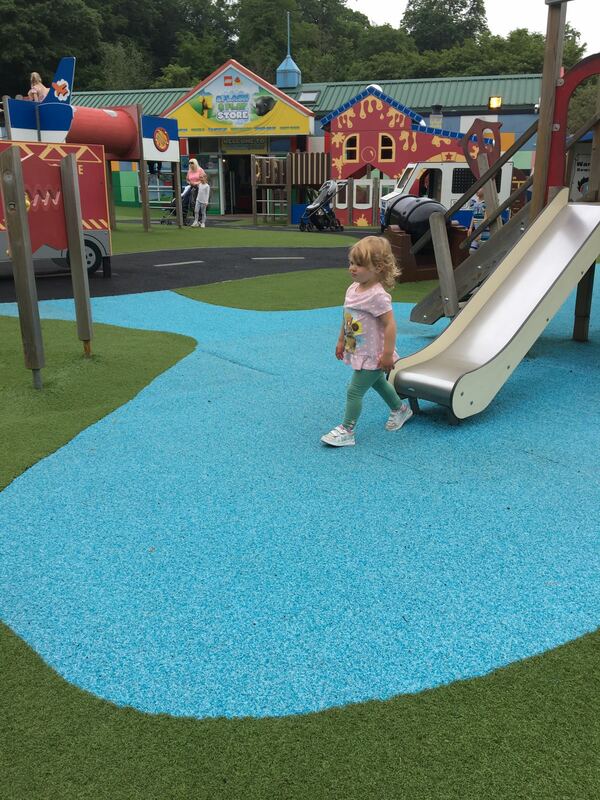 So, that’s my list of everything at LEGOLAND Windsor Resort that your toddler can do! 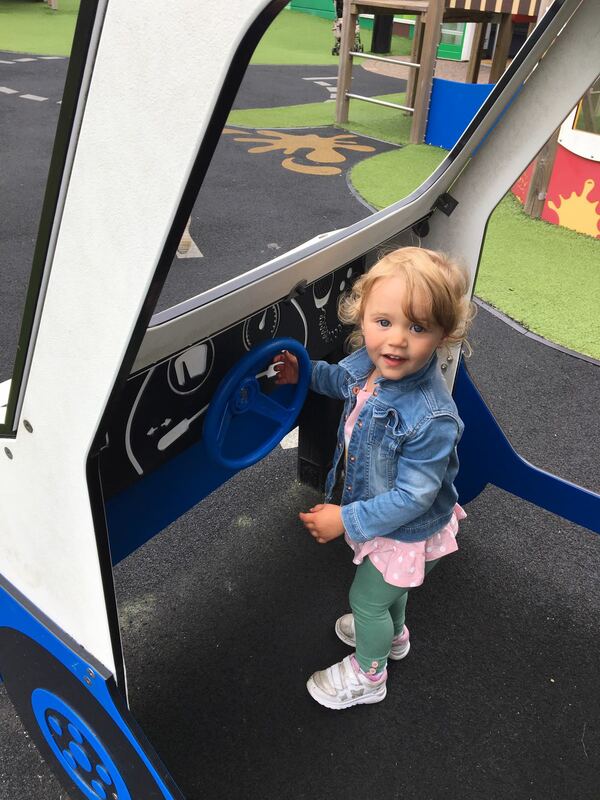 While the number of rides tailored towards younger kids isn’t spectacular, they have absolutely loads of outdoor play areas and other activities that everyone can get involved in, which is pretty unique for a theme park. Absolutely! We had such a wonderful day, and next time I hope that we’ll be able to go on even more now that I know which rides are suitable and where they all are! Thanks for reading, let me know if there’s anything I’ve missed or if you’ve also been to LEGOLAND we would love to see your pictures too!